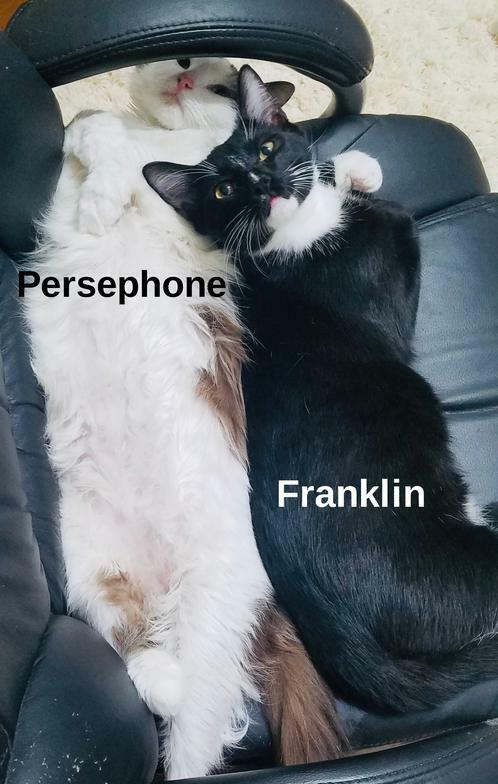 Persephone is a lovely mama cat who had the good luck to move into the garage of one of our volunteers back in June 2018, where she proceeded to give birth to a litter of fine kittens, who all grew into handsome, healthy cats, thanks to the kindness of that volunteer and her daughters. 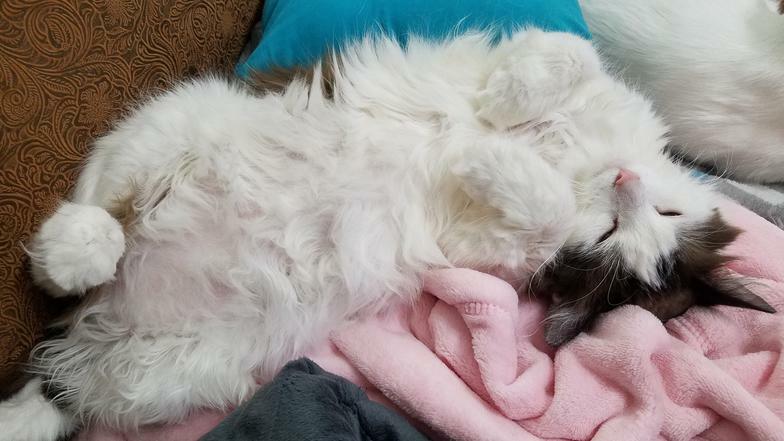 From a thin and undernourished homeless mother cat, Persephone has grown into being a mature and very mellow mom who obviously still loves her babies. Darwin, Nova, and Persephone herself, are still available for adoption. They have been pampered and showered with affection and have learned that humans can be pretty great foster parents. 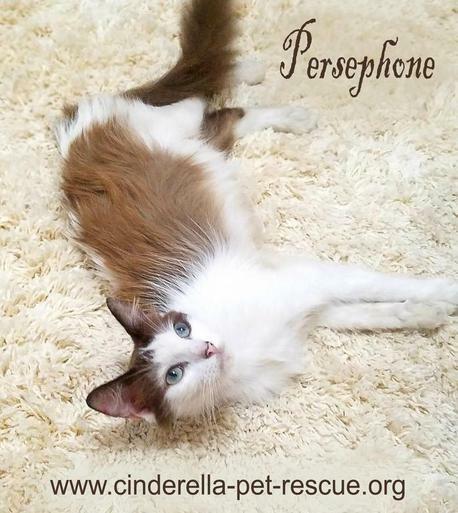 Persephone was estimated to be four years old, but may be younger, since she has grown so much during her time in foster care. Call Tabitha at 956-358-6344 to learn more. 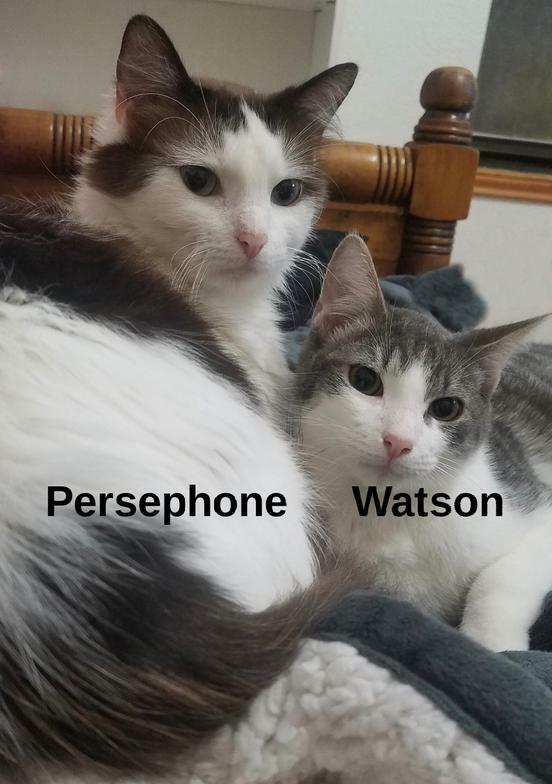 Below, Persephone is shown with her sons, Franklin and Watson (both boys now adopted). Daughter, Nova, and son Darwin aren't pictured here, but you can see pictures of them on their own pages. They are a close-knit family and we are hoping that some loving family will adopt any two of them together.